Our students are prepared for their choice of high school and college. But here, that’s not enough. Our students are also inspired for life. 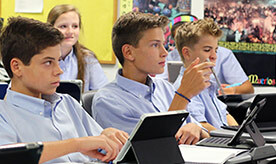 St. John's seeks to prepare each student not only for a successful high school career, but also for a rich meaningful life that includes respect for and service to others. Here, you'll find students who are challenged to reach their highest potential and who graduate to attend the area's best schools as knowledgeable, articulate, confident and morally responsible young adults. 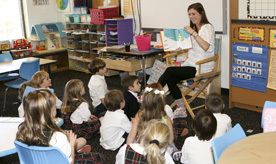 At St. John’s, we have intentionally designed the pre-k through eighth grade journey to maximize each child’s foundation of knowledge, courage, leadership, and service.